What are you most passionate about? It is a common human tendency to step backward while doing something because we fear that we won’t be able to live up to others expectations. 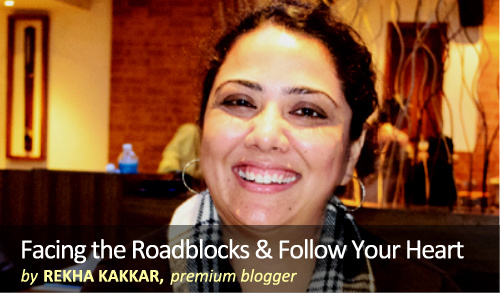 In this guest post, our Premium Blogger Rekha Kakkar shares with us how she went on to fulfill her dreams and goals. Thorough inspirational post. Must read. What happens when Politics, Power and Public cross paths? Are you aware about the effects and side-effects of this combination? Confused? Don’t be. 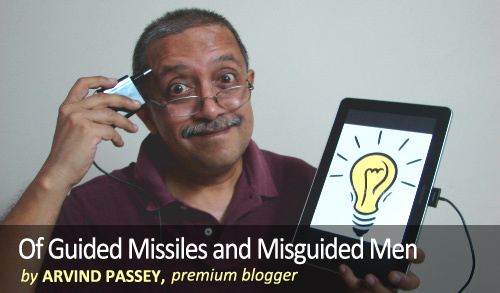 Our Premium Blogger, Arvind Passey is here at your adda to discuss the current scenario of our nation and how this trio (politics, power and public) has immensely affected our lives in his post ‘Of guided missiles and misguided men’. A post that highlights the most common and important topic of today. Get a reality check! Over to Arvind. Some might believe that blogosphere is a virtual world; people wear false faces and pretend to be someone they are not. But, is this completely true? Ain’t there any genuine souls who use ‘blogging’ as a platform to express their personal views on various issues? 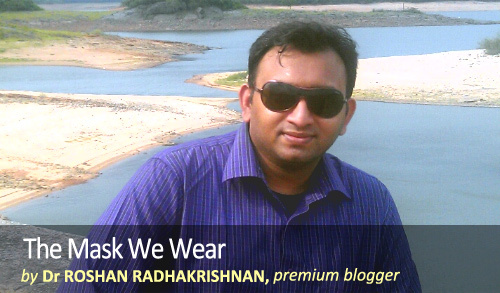 Our Premium Blogger, Dr. Roshan Radhakrishnan in his post ‘The Mask We Wear’, tells us why it is important to listen to your heart and not to those who constantly pull you down by passing irrelevant comments. Here’s someone who totally understands you and your love towards blogging. Do not miss it. 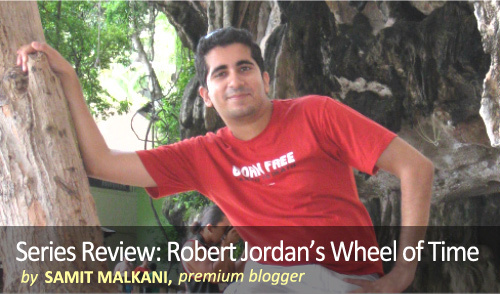 Our Premium Blogger has gone ‘ga ga’ over Wheel of Time, a series of epic fantasy novels written by American author Robert Jordan. It is a well written, superb review by Samit Malkani. The characters and events come out very lively through this post. Don’t miss it, as the writer gives you chance to fall in love the novel. Read on. 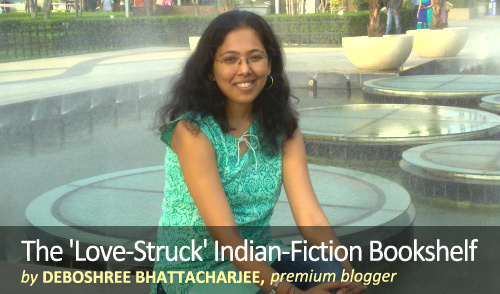 According to you, what is Indian Fiction? Have your ever noticed that most of the times Indian Fiction revolves around two things: relationships and love? Why? Our Premium Blogger shares with us the reasons behind this in an awesome post by Deboshree Bhattarcharjee. How difficult is it to admit our own mistakes? Why does ‘sorry’ seem to be a tough word to say even when we know it is our fault? 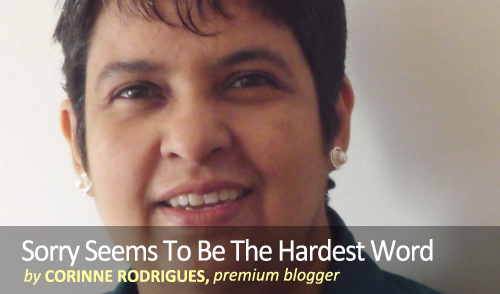 Read our Premium Blogger, Corinne‘s take on the word ‘Sorry’ in this post. Read on.